A Hong Kong activist was detained at a Taiwan airport for four hours before being permitted to enter. He was planning to join protests against the country’s relaxation of its labour regulations. Christian pro-democracy activist Hendrick Lui wrote on Facebook that he failed to apply for an online visa after he conducted a hunger strike protest in Taipei last October. 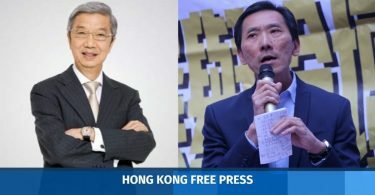 His hunger strike aimed to raise awareness about Beijing’s “threat” to the autonomy of Hong Kong and Taiwan, and the deteriorating political situation in Hong Kong. Lui at Taoyuan International Airport. Photo: Screenshot. Lui flew to Taoyuan International Airport on Tuesday afternoon, saying that he planned to apply for a visa upon arrival, but was detained for four hours by airport staff. 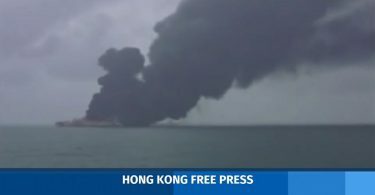 Lui said he was allowed into the country at 7pm after Taiwan’s Apple Daily newspaper reported the story. Protest against the Labour Standards Act amendments on Tuesday. Photo: Civil Media via Facebook. Taiwan’s Mainland Affairs Council told the Liberty Times newspaper that Lui was on a list of controlled persons because of his hunger strike protest last October, but he is allowed to enter the country. 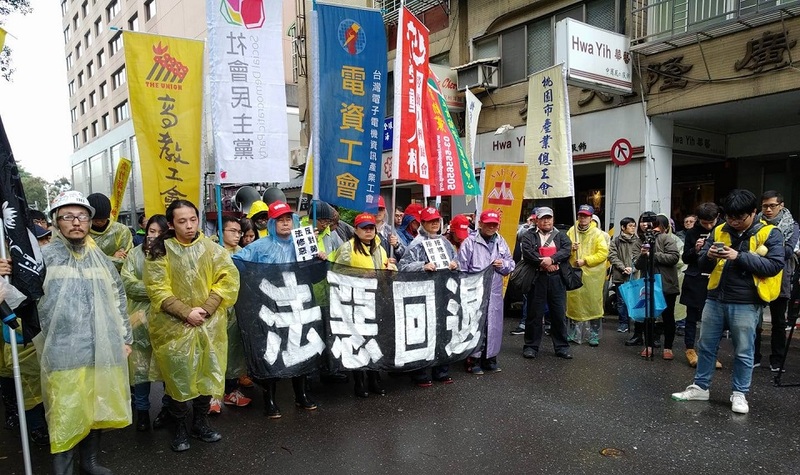 Six members from the League of Social Democrats, the Confederation of Trade Unions and other Hong Kong pro-labour political groups have also flown to Taiwan to support ongoing protests against the amendments being debated in the Legislative Yuan. The relaxation of the Labour Standards Act would allow employees to work a maximum of 12 consecutive days, as opposed to six under the current law. The minimum time period between shifts would be reduced from 11 hours to eight, while the maximum allowed amount of overtime work would be increased to 54 hours per month. Last July, Lui said he was detained in a Shenzhen police station after reading aloud late Chinese dissident Liu Xiaobo’s Charter 08 democracy manifesto at the border. 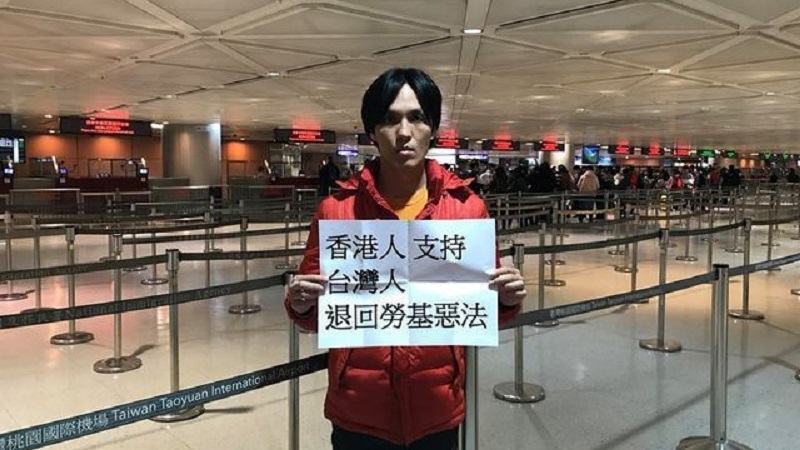 He told HKFP that he was taken across the border by Chinese police without passing through immigration, and was forced to write letters of repentance.